I was licensed in 1983 when I was in high school. I used to dabble around with electronics and build projects while I was in school and a fascination of radio got me interested in short-wave listening (SWL). 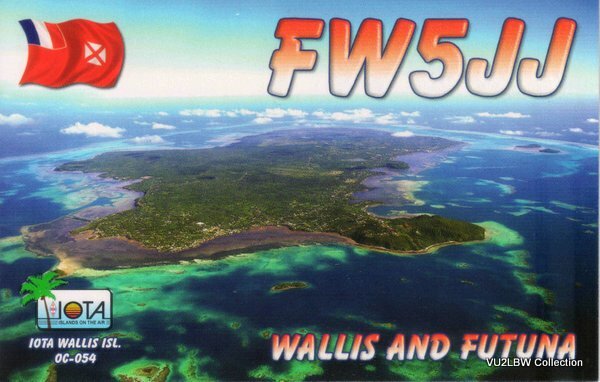 I used to do a lot of broadcast SWLing and collect those colorful QSL cards from stations. Building a simple BFO helped me listen to CW and SSB transmissions on the ham radio segments of the radio. I was fortunate to have a club station at school in Madurai. The callsign was VU2TVS but it was not active. It was at this time that I met my Elmer – OM Ram / VU2TN who taught me the nuances of the hobby and encouraged me to take the test. I passed the Grade-II (Novice) test and was licensed as VU2LUX. I upgraded to Grade-I (General) and then to Advanced Grade and was given my present callsign VU2LBW. I got on the air with a homebrew 5-watt TX and a BC RX. Soon after, I moved to Bangalore and upgraded to an Yaesu FT-77 and was very active on CW. 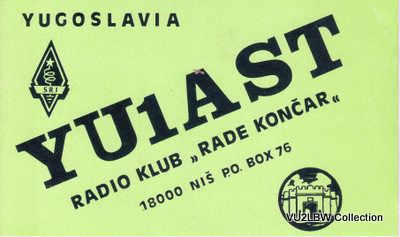 Meeting JS / VU2JX in the mid-’80’s and visiting his fantastic station got me interested in RTTY. I had a great time operating multi-op from his station in a few RTTY contests. My RTTY station came together in 1988 when my Dad bought me an MFJ-1278 Digital Interface and I used to drive it with an old Commodore-64 computer. This also gave me an opportunity to learn about 1200 Baud Packet Radio and it was exciting to make my first Packet Radio QSO with Sanjay / VU2SJD in 1988! This was perhaps, the first Packet Radio QSO in India. The community of “packeteers” in Bangalore grew and Raj / VU2ZAP decided to setup an MSYS based Packet BBS in Bangalore. One of the most exciting events was the SAREX packet radio experiment from onboard the Space Shuttle Colombia’s STS-35 mission in 1990. At that time, with no Internet access to get tracking data, I had to wait with the RX and packet equipment on through the day to hear bursts of packet data from the Shuttle. Finally, I was able to make a two-way packet radio contact with the Shuttle. Apparently, I was the only one from VU (India) who made a full contact! 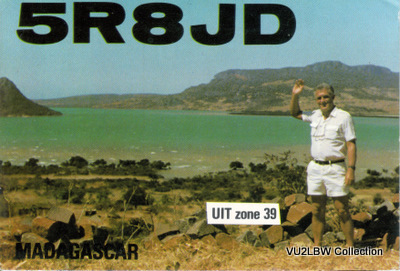 Raj / VU2ZAP made a partial contact and both of us received a very special QSL card from NASA soon after. I was experimenting with TCP/IP over radio and became a volunteer AMPRNET IP address coordinator for India. Raj and I made a TCP/IP Packet Radio contact in the mid-’90’s. 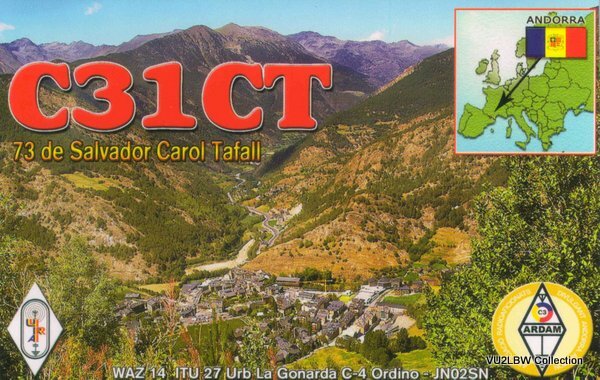 I am an avid contester and have participated in many CW, SSB and RTTY contests since 1985. 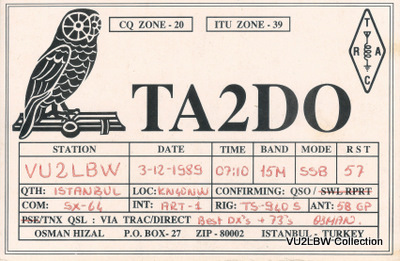 I was also fortunate to be given a special contest call of AT0L, which I used in many CW and RTTY contests. I requested for and was allotted the same callsign again in 2017 for the CQ WPX RTTY contest. My contesting activities are described here. My primary interests are DXing and award hunting. I also enjoy experimenting with all the new digital modes that have been developed over the years. I have made QSO’s on RTTY, PSK31, PSK63, PSK125, MFSK and the newer weak-signal JT65 and JT9 modes. The newest mode FT8 is fast and exciting too. My early station antennas were simple inverted-v’s. In 2006, I upgraded to a 4-element yagi for 20/15/10 on top of a 40-foot crank-up tower on my 4th floor terrace. I enjoy experimenting with different RX and TX antennas in my high-noise environment. The shack and antennas are described in more detail here. 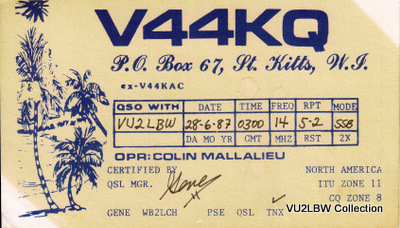 I was awarded my first DXCC in 1988 (Mixed). 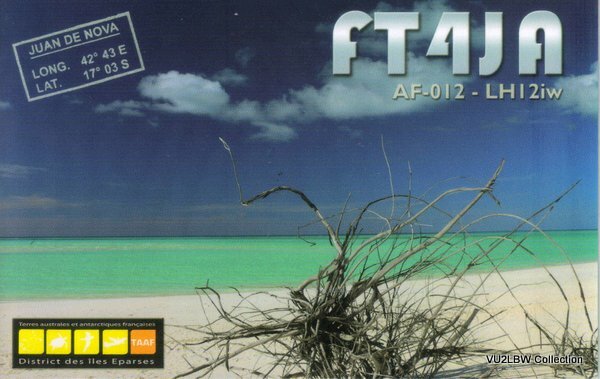 After a lull in my radio activities in the ’90’s, I received a DXCC for RTTY in 2008. This was followed by DXCC’s for Phone, 10M, 15M & 20M in 2011, CW & 40M in 2014, 17M & 30M in 2016. 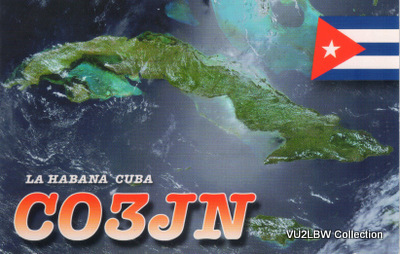 I also earned a QRP DXCC (100 countries with 5 watts or less) in December, 2013. This was a tough challenge and it took me 2 years to earn it. 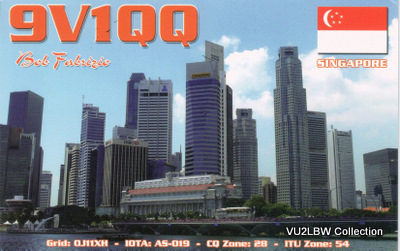 To date, there are only two QRP DXCC holders in India – Raj / VU2ZAP and yours truly. 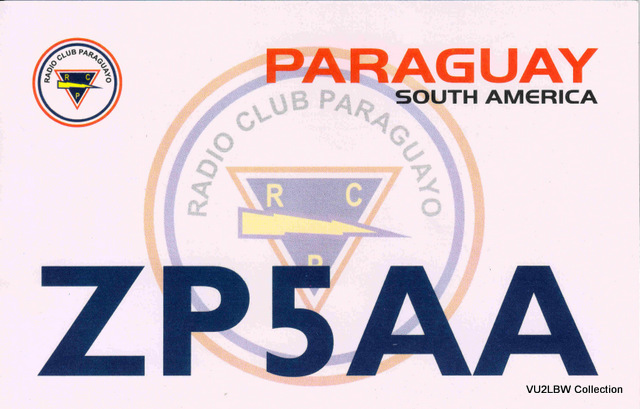 I also qualified for the DXCC Challenge in December, 2016. I qualified for the Worked All Zones Award (Mixed) in 2017. This took a long while as I had to wait almost 18 years to work the last zone (Zone 6)! I spend quite a bit of my time homebrewing accessories for the shack. Some of my projects are listed in Homebrew page.